Is it Allowed to Sunbathe after Botox Therapy? Nowadays the word “Botox” is used commonly as a collective name for injections, which are based on the strongest organic poison botulinum toxin type “A”. Keeping in mind, that this is the name of a particular brand, Botox substance blocks the nerve receptors responsible for muscle contraction. This leads to their complete relaxation for a certain period and the gradual smoothing of folds and wrinkles. However, to provide the best result and avoid side effects, it is wise to find out what are the conditions and rules of ongoings after the procedure. Despite the fact that this non-invasive method is quite simple in its conducting, the key to a positive outcome is an experienced and qualified specialist, perfectly familiar with the anatomy of the patient’s injection areas. Thus, in the procedure of Botox injections, it is much more important to conduct a proper injection of this substance into the necessary muscle group, rather than the action of an agent itself. In such way, the result is predictable and does not lead to undesirable consequences or side effects. Nevertheless, it should be noted, that that only certified drugs should be injected, e.g. https://fillersupplies.com/botox/ . The areas of possible Botox injections vary: eyebrows, forehead, temporal area, area around the mouth, nose area, cheekbones, cheeks, nasolabial folds. In addition, the drug is effective in the treatment of blepharospasm and strabismus; it also helps to cope with increased sweating problems (hyperhidrosis). It should be remembered that the quality of the Botox therapy depends on many factors, including the patient’s adherence the recommendations of a specialist for the next several weeks. So, sunbathing or not sunbathing after Botox? The question of sunbathing after cosmetological procedures, including Botox therapy, is very important, because many patients conduct the correction just before the summer holiday, whereas the sun is the most active and dangerous for the skin during that time. Of course, being in direct sunlight, like visiting a tanning salon immediately after the procedure, is highly undesirable. This point should be considered before planning a vacation or traveling to “hot countries”. The first 10-15 days after the injection of botulinum toxin, doctors do not recommend sunbathing or applying heavy and dense sunscreen as well as visiting a tanning salon. During this period, the skin is vulnerable, and ultraviolet will slow the healing process of papules for several weeks, that may cause inflammations (more information: https://fillersupplies.com/ ). If, nevertheless, exposure to the sun is unavoidable, then one should cover the face and the injection zones with wide-brimmed hats or other accessories, including sunglasses over the eyes and perioral area. On the other hand, beauticians note, that a short stay in the sun (a walk, a trip to the store or work) is allowed and even necessary. However, it is advisable for this purpose to choose more shaded routes and the time of day when the sun is less active. Even if you entrusted the procedure to a high-class beautician with the certified product (e.g. 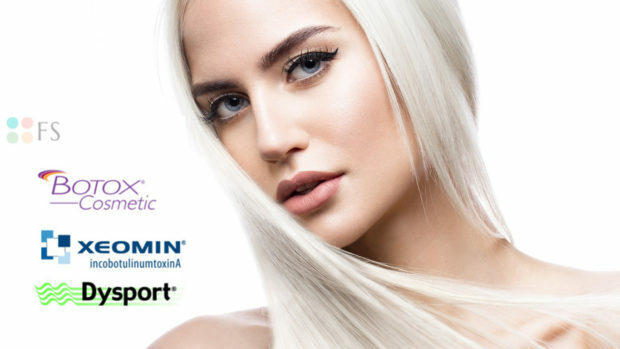 https://fillersupplies.com/product/botox-100u/ ), its positive outcome and the further result depends on you. Remember that the procedure of the Botox and its analogues injection does not limit the usual way of life. The main thing is to know the measures and advices, and then you will have an absolutely stunning effect!